Qualifications: M.U.R.H.P., B.Ed. (HONS), M.H., M.I.I.R. 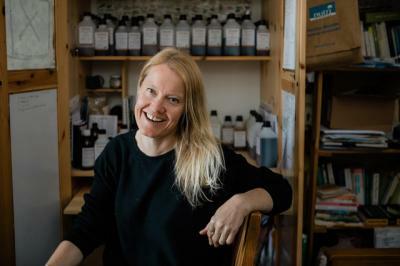 Further Details: PJ Cousin M.B.Ac.C is a London registered acupuncturist and herbalist with 30 years experience in acupuncture and natural medicine. He also learned massage, homeopathy, Eastern and Western Herbalism as well as acupuncture and Traditional Chinese Medicine. PJ Cousin taught acupuncture and all these subjects for 12 years in this country and abroad. A prolific writer he has worked as a contributor on nine books, including 3 volumes of an encyclopedia; as a sole author, he has written three best selling books: "Facelift at your fingertips", "Natural recipes for a perfect skin" and "Food is Medicine". Further Details: Also aromatherapy, naturopathy, iridology, auricular acupuncture, Bach flower remedies. Qualifications: MURHP, Dip. Herb (CNM) N.D.
Further Details: Also Asyra advanced bioenergetic therapy - food, nutritional deficiency and other testing as well as digital homeopathic treatment.